Bluestacks is one of the most famous software or emulator which helps us to run android apps or games on Windows and Macintosh or other platforms. Most of the people want to run Whatsapp application on their computers. If you don’t know and want to run Whatsapp on your PC or laptop then read this article download Whatsapp for PC. It is found that Whatsapp is the most famous messenger or application which people run on Bluestacks. You can run any android application which you are wan to run on your PC or Laptop, you can run through Bluestacks because Bluestacks provide a platform like android which you can see on your PC or Laptop and play any games or apps on your PC. 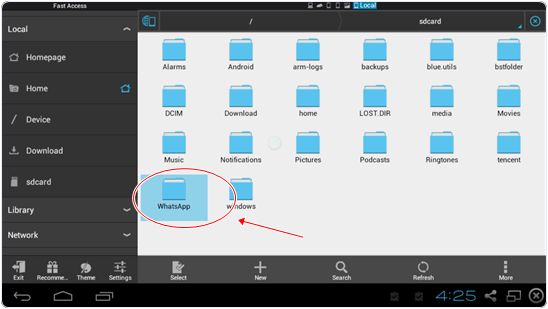 Whatsapp is widely used app on bluestacks also. We already listed some popular whatsapp tricks. From all them using whatsapp via bluestacks in best one. 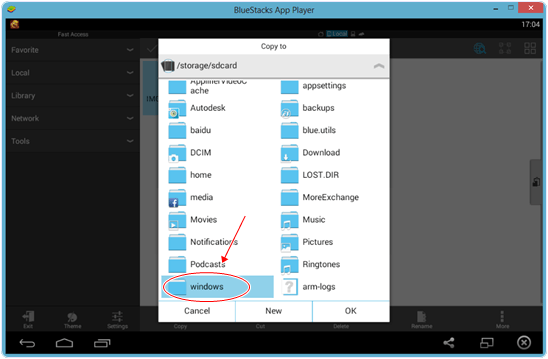 But the most common issue faced by users who are using whatsapp on bluestacks is. They don’t provide any button from where we can download or upload videos or images. So most of the people don’t know how to download whatsapp images from bluestacks. 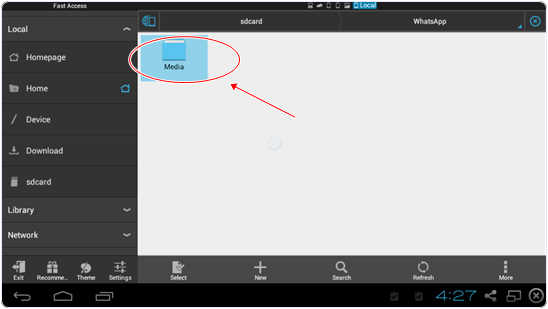 But don’t here we have find some method and with the helpful this you can easily download whatsapp images from bluestacks. Download Whatsapp Images, Videos From Bluestacks. 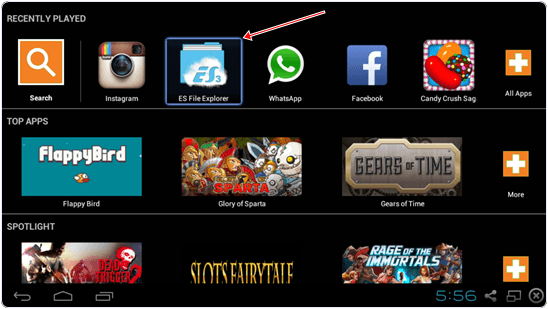 Open Bluestacks and download ES File Explorer from app store and run on your bluestacks. After that Click on WhatsApp Images folder. 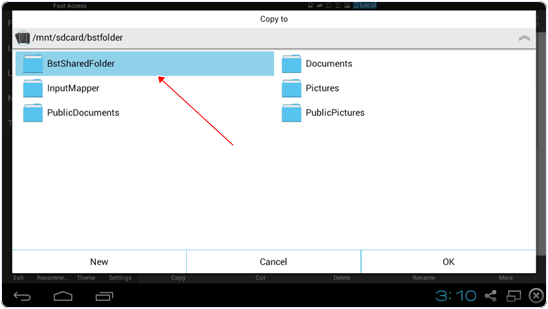 It will open the folder where your all images are placed. Tap on any image you want to save. Then click on More button on the bottom ride side and then click on Copy to button. It will open you new dialogue box and then click on Windows. 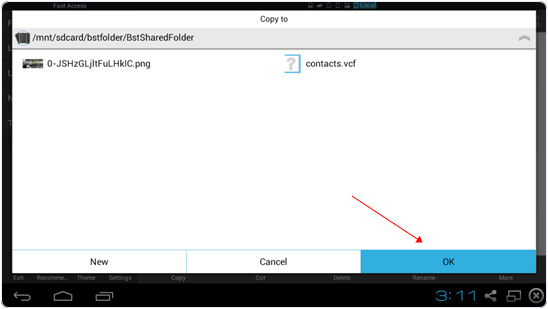 Then click on BstsharedFolder or any other folder. This will be the folder on your PC or Laptop where you can save your whatsapp images or videos. After this click on Ok and it will copy all your whatsapp images on your windows folder where you save your whatsapp images. 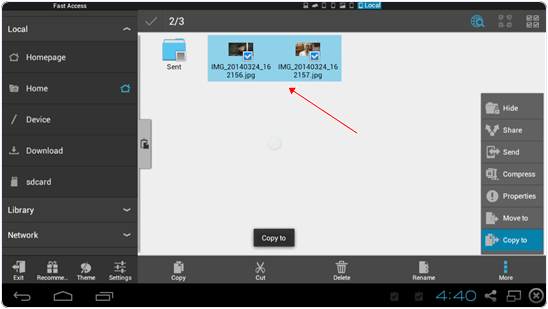 Hence, You can also upload images or videos and sent your friends through file ES File Explorer. 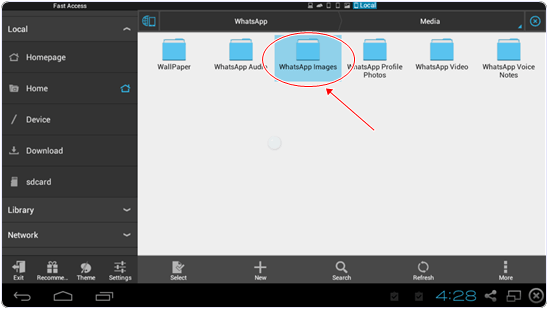 In conclusion, we hope you can understand all the steps to download whatsapp images from whatsapp from bluestacks. For any help or assistance, please feel free to write to us in comments below.